How could innovative ideas improve funerals and final resting places? It’s a question not being asked enough. Let’s take a dive into funeral technology. Tonight’s GIF comes from the tail end of Guns N’ Roses’ over-the-top “November Rain” video. — Peter Billingham, a British speaker and consultant on bereavement industry issues and the founder of a website called Death Goes Digital, pondering (after the National Funeral Exhibition, in which an electric hearse, based on a Nissan Leaf, was displayed) whether self-driving vehicles could possibly disrupt the funeral industry. Billingham’s ultimate point is less about self-driving vehicles in general and more about the fact that the funeral industry doesn’t do innovation well—which is a problem. 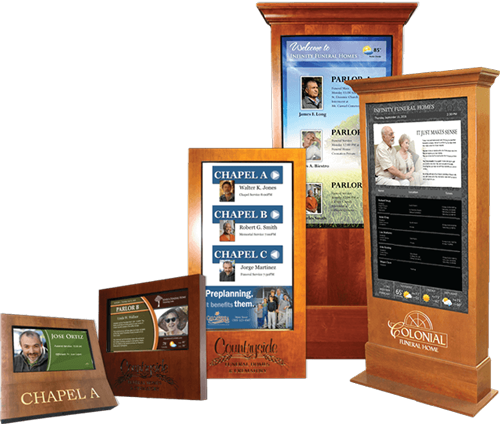 A sampling of FuneralScreen’s digital sign product line. We’re getting cremated more. According to statistics from the National Funeral Directors Association, cremation has become more popular than traditional burials in the past few years, with 47.9 percent of choosing the ashes route in 2015, a number that is expected to jump to 53.3 percent next year and 71.3 percent in 2030. Costs have traditionally been a differentiator, and still are: The association reported that a cremation cost $6,078 in 2014, versus $7,181 for a traditional funeral and burial. Startups are starting to enter the sector. The startup accelerator Y Combinator has backed at least two funeral-related startups, though one, Halolife, is no longer active. However fellow YC alum Willing, which focuses on estate planning, was able to score a Series A round last year and reportedly is used to create 25,000 estate documents per month. Funeral homes use software platforms to manage their businesses. Niche industries often have hardware and software needs specific to their own industries, and the world of funerals is no exception. Among the vendors in the space are FrontRunner Professional, FuneralTech, and Aldor Systems. The signage is digital now. Digital signs have become increasingly prominent in funeral homes in recent years, with vendors like FuneralScreen specifically targeting such use cases. Tombstones are getting much more sophisticated. As we pointed out earlier this year, there’s nothing stopping you from getting an elaborately-engraved tombstone featuring your favorite pop-culture icons. But only recently have people started to add technology to the mix. Earlier this year, a Slovenian cemetery introduced a digital tombstone, a device that can play digital content that reflects the person’s life. The concept is similar to the above-mentioned FuneralScreen, of course, but the fact that it has to be outside adds a layer of complication. A blue screen of death on this thing would be terribly ironic. — Mike Belsito, the cofounder of a company called eFuneral, discussing with The Atlantic his reasoning for founding the company with his colleague Bryan Chaikin. Simply put, the startup firm attempted to make it easy to go through the complicated steps of planning a funeral—something Belsito’s family struggled with after the death of a cousin. While the idea was a pretty good one, the firm struggled to break through and was sold off to a life insurance company in 2014. “The experience was a great one, but ultimately, we failed,” Belsito recalled in a post on Medium. Other firms with similar missions, like Parting, have since cropped up. We’ve lost a lot of major stars in the past few years, in particular in the music world, and especially in 2016, when we started the year with the loss of David Bowie, lost Prince a few months later, and ended the year with the passing of George Michael. But it was the death of two rock stars at the tail end of 2015 that highlighted what is expected to become a prominent trend in the years to come. 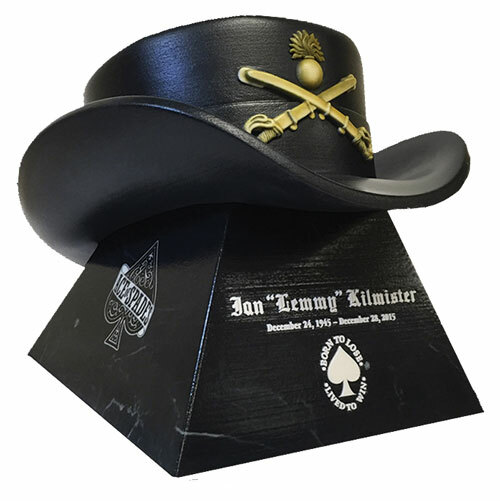 A few weeks later in Los Angeles, Motörhead icon Lemmy Kilmeister died of cancer, and he very much was not the kind of person for whom a traditional urn or casket was a fit. So Foreverence created a custom design for him that featured both his iconic hat and his iconic style—specifically, the Ace of Spades. Clearly, Foreverence had hit on a smart idea. The company came about as a result of founder Peter Saari, who put together two-and-two while consulting for a company that sold 3D-printing equipment. He learned about the growing popularity of cremation for non-financial reasons in Time magazine—and realized that the two concepts fit, especially as it was becoming clear that cremation would continue growing in popularity. In other words, there were people who could afford something like a customized 3D-printed urn, and who might want something unique because their loved one had a larger-than-life personality. Like the families of rock stars. In fact, the first person that Saari’s team worked on something for was Bob Casale, a Devo member whose iconic energy dome hat became perfect final resting place for the late musical icon. Weiland, Casale, and Kilmeister, obviously, were big stars in their own right, but Saari soon would be working on something for a much bigger icon—a local, in fact. Prince. 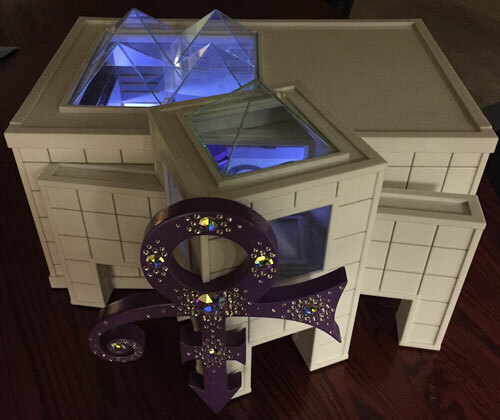 When the Minneapolis pop giant died last year, his sister, Tyka, reached out to Foreverence, which came through with a replica of Paisley Park, his famed studio and residence, where the elaborate urn is currently on display. Saari, understandably, has taken pains to emphasize that this is something that regular people can do too—not just famous folks. “Through conversation, photographs and sketches, we arrive at what is the most appropriate and meaningful expression of a person’s life and legacy. We then design and manufacture the perfect memorial,” Saari told People of his company’s approach last year. Certainly, their approach beats the one used by some of their competitors, like Cremation Solutions, which has tried selling the idea of putting people’s remains in Uncanny Valleyish 3D-printed busts, Futurama style. We want to honor and respect our loved ones, not have disembodied recreations of their heads on our mantles. The number of states where “water cremation,” or alkaline hydrolysis, is currently legal. California will become the 15th, with a measure legalizing the process becoming law earlier this month. The process, which is controversial in some circles, involves putting the deceased inside of a machine that bathes them in an alkaline solution for four hours, effectively speeding up the decomposition process while leaving the bones, which are then cremated. The process is seen as better for the environment than traditional cremation, but there has been confusion about the process, and religious groups are unsure if they want to allow it. Would you wear a suit made of mushrooms, discard the casket, and allow yourself to be buried in the ground directly, getting literally up close and personal with the soil? If you’re concerned about the environmental impact of your casket going into the ground with you inside, you might find the concept of Coeio interesting. 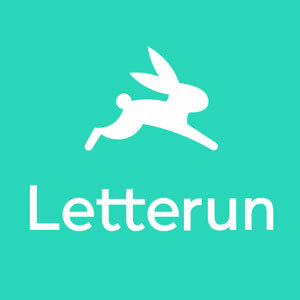 The startup’s “infinity burial” approach has gotten a lot of attention in recent years because it’s so outside of the norm. If you haven’t heard about it, here’s the gist: Artist and scientist Jae Rhim Lee came up with the concept of Infinity Burial as part of her graduate studies, having found concerns with the ways that waste materials are involved in the funeral and burial processes. On top of all that, the human body’s own toxins are problematic on their own. 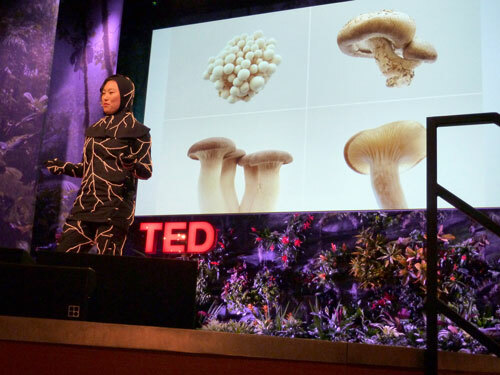 Lee, however, was aware of the purifying effects of mushrooms in decomposition, and she analyzed this impact by feeding different kinds of mushrooms her own hair, skin, and nails. This helped her find the right kinds of mushroom for turning a deceased human into compost. Then, with the help of fellow designer Mike Ma, she turned it into a suit that people wear when buried. Rather than getting buried in a casket, you’d get buried in the suit. If the mushrooms do their job right, your body will turn into compost. The result is striking—Lee, famously, was the subject of a 2011 TED Talk—and it’s actually not all that expensive when you break it down. You can go on the Coeio website and buy a mushroom suit for $1,500, which is comparable in price to a traditional casket or coffin, but cuts out costs like the grave liner and embalming process with the goal of going natural. However, you may have a harder time finding a burial site, as early adopter Dennis White, who died last year, learned when he tried looking for a burial ground. Whatever the case, whether or not you think Jae Rhim Lee’s unusual approach to this issue is weird or even a bunch of hooey, it’s the kind of thinking the world of funerals simply does not have enough of. If nothing else, the mushrooms are provocative. One of the strange things about the business of death is, when you break it down, how rare it is. To be clear, yes, it’s common—but only at a distance. We may see this constant stream of people dying in the media and on our social feeds, but when it comes down to actually having to plan the process for your own loved ones, you may only have to deal with the process of managing someone’s funeral a few times in your life. If your family moves around, you may only use a specific funeral home once or twice in your entire life, and even if you don’t, it may be decades between funeral home visits for some. On top of that, many funeral homes are family businesses rather than corporate conglomerates, it’s a business where tools common with other consumer businesses—like, say, loyalty programs—would be difficult to pull off. You only get one shot at this. Mixing that with the ritualized nature of funerals, which is less prominent now than it was, say, 50 years ago, it’s understandable why technology has been so slow to revamp the business and process of death. The final resting place may not be tech’s final frontier, but it’s definitely a place where we, as a society, haven’t intently focused on in the same way we have, say, our smartphones. 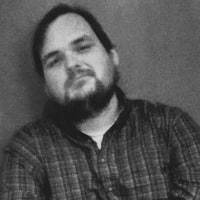 Maybe all this death talk is weird or morbid, but perhaps if we discuss it and ponder how technology can improve the process, we’ll make what’s already a painful process for the folks we leave behind a little bit easier. It’s a tough process—but one that’s important to get right.